“The perfect kind of high-pressure adventure.” —TeenVogue.com A New York Times bestseller! The Diabolic by SJ Kincaid was not entirely on my radar until this totally awesome package containing bath bombs, a candle, and the first two books of the trilogy showed up at my house. You immediately have my attention, I guess if you send me a bath bomb. 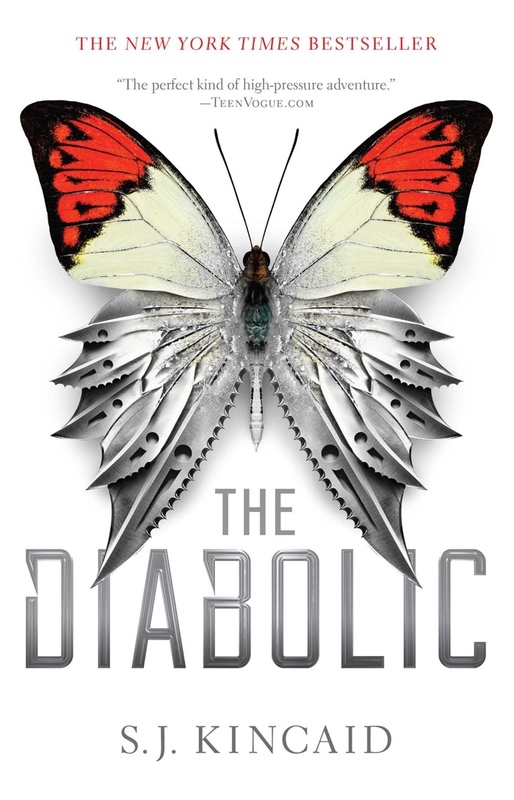 So, I made it a priority to finally dig into The Diabolic. This book is the first in a newer trilogy from Kincaid. FYI, I loved her Insignia trilogy. I was really pumped to see what she has come up with next. SJ Kincaid’s The Diabolic is about this main character named Nemesis. She’s not quite human, but has human DNA. Instead, she is this hybrid humanoid creature called a diabolic. What that means is that she was made for one purpose, to protect the human that she has bonded with at all costs. Sidonia is that person. When trouble comes knocking at the door of Sidonia’s family and the emperor demands that Sidonia go to where is he is, Nemesis takes her place. There, at court, Nemesis must learn to act human and play political games. Tragedy strikes though. Still, there’s some bits of hope that peak through. Nemesis meets the future emperor, Tyrus, and falls for him. I loved that the feelings between Nemesis and Tyrus were not instant. Yet, it ends up really making sense. Their romance is an against all odds sort. Especially because Tyrus is human and Nemesis is not. Meanwhile, Tyrus has to deal with a not so friendly family situation. So, he pretends to be mad. It’s all very dramatic and interesting, I will give you that. This book has got a whole lot of twists and turns. It is absolutely a wild ride. One that made me look forward to book two. I liked the religious structure involved in this book. I felt like it was an intricacy that likely took a lot of thought. In addition, even the side characters are fascinating. I loved this one non-noble character, Neveni. Her scenes are fabulous. Also, this book is down right brutal. Check out The Diabolic by SJ Kincaid if you’re into action packed books set in space. The Empress by SJ Kincaid was a book that I was kind of really excited to dive into. The Diabolic basically ends with this big bang, right? So here I am SO READY TO GO. Alas, my expectations were 100% not met. Maybe they were too high? Maybe I had too much going on in my personally life? All I know is that a good book should really whisk you away from all the stuff you have going on in your day to day. This book did not do that for me. So basically The Empress picks up where The Diabolic leaves off. Tyrus is now emperor. Only all the other nobles are the absolute worst and getting in his way and just ruining things. So then Tyrus and Nemesis end up going to the religious city where all the priests are trained and meeting up with the head honcho. There they learn some secrets and they get the guy to agree to make science and the exploration of knowledge legal again, so to speak. They go back, things are a freaking mess. There’s double crossing. AND MORE DOUBLE CROSSING. AND MORE DOUBLE CROSSING. So, this book kind of goes off the rails. I think the primary reason I wasn’t the number one fan of this book is the romance aspect. It took a turn that I just really did not care for. Maybe I am too invested in Tyrus and Nemesis? Who knows. Let’s just say this ship has probably sunk. I don’t even know what or where endgame is at this point. Other people might like this though, given how tumultuous romances are probably super interesting? 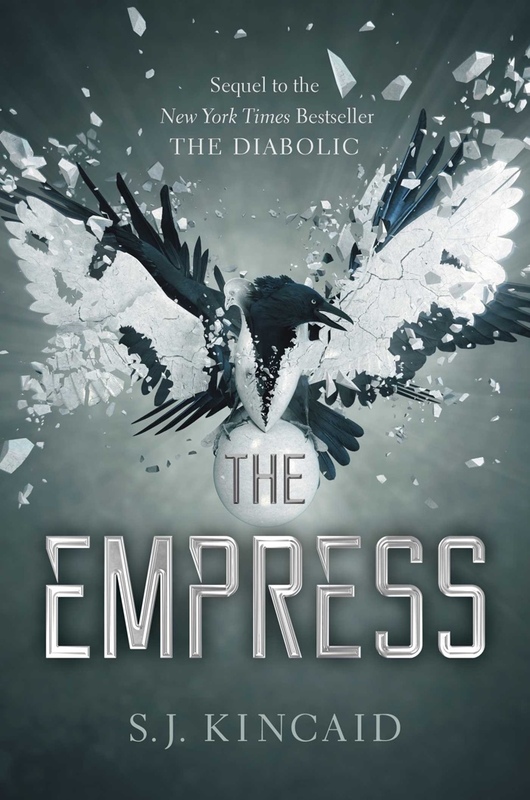 The other thing that I just could not get over with The Empress was the pacing. OMG. This book is S L O W. I am sorry, I said it. It took me so long to read and get through. I just was not in the headspace I think to really enjoy this novel. For me, I couldn’t get into it. I felt no real hope or anything while reading. Just kind of felt punched over and over and over with the things happening to the characters. I will say that the ending is pretty solid. However, I am still not quite sure if I will be around for book three. I loved both of these books, but that second one is really brutal. I mean, like you said, punched in the gut over and over. I can’t believe an author would do that! I’m in it for the long haul. And I thought Diabolical was supposed to be a stand alone and then Kincaid (or someone) changed their mind? Or did I get that wrong? I LOVE this series. That second book is gut-wrenching, isn’t it? She did take her time with the pacing of it, but I personally feel the story is stronger as a result. We got to know Nemesis a bit more and watch her evolve. I know what you mean about not appreciating a certain turn. I remain hopeful that things will work out for Nemesis in that regards, but I have a feeling there are going to be a few more punches to the gut before we get there.